Conventional loans are mortgage loans other than those insured or guaranteed by a government agency such as the FHA (Federal Housing Administration), the VA (Veterans Administration) or the Rural Development Services. 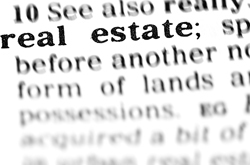 Transaction, settlement or closing costs may include application fees; title examination, abstract of title, title insurance, and property survey fees; fees for preparing deeds, mortgages, and settlement documents; attorneys’ fees; recording fees; and notary, appraisal, and credit report fees. Under the Real Estate Settlement Procedures Act, the borrower receives a good faith estimate of closing costs at the time of application or within three days of application. The good faith estimate lists each expected cost either as an amount or a range.